Love sharks? – Don’t let horror stories prevent your great (and safe) experience in marine conservation! Cage-diving is a great experience though not essential as part of our marine conservation project – plenty happens above water too! Sharks are absolutely crucial for the health of the eco-system as a whole – not only are these creatures simply magnificent to see, they are actually essential to the earth. Therefore here at Oyster we are passionate about the continuing success of our marine conservation project in South Africa. With recent media hype about sharks it is getting even harder for marine biologists and shark lovers to shake off the continuing stigma surrounding them. With their rows of shiny white teeth it is not surprising that they are often viewed as malicious and evil, a view taken from physical appearance and no scientific evidence. Now more than ever, we need to encourage an understanding of sharks beyond what is read in the tabloids. Therefore the tourist boat trips we conduct are becoming as vital as the research itself. With Oyster your safety is our number one priority so don’t let rare horror stories put you off the experience of a lifetime. 1. You don’t have to cage-dive – you can watch sharks and contribute from the warmth of the boat as they are very active on the surface. 2. 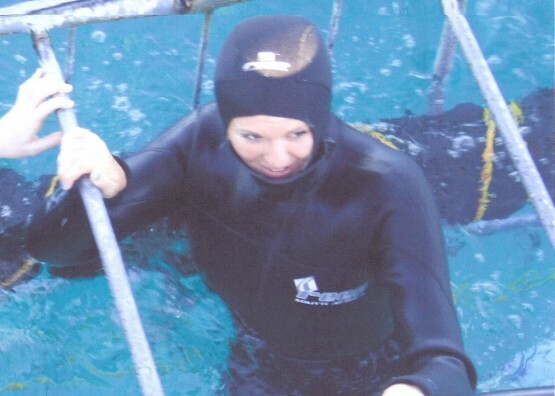 The cage-diving industry is regulated by a Code of Conduct and regulations from Marine and Coastal Management. The cage itself is 100% safe, equipped with floatation devices and a very solid frame. Also about 60cm of the cage is above water at all times, so you don’t need to be a confident diver at all; you also don’t have to go down alone – the cage can fit up to 5 people at one time. 3. 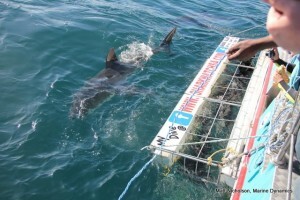 Shark viewing and cage-diving is a good and ethical practice when done properly with respect towards the sharks – as is the case with our project. Yes, shark attacks to cages can occur but only ever as a result of unnatural provocation – something our marine biologists never engage in. Were a shark ever to charge the cage (never happened before in 10 years) then the cage would take the full brunt of the attack absorbing the impact and protecting the volunteer. If you would like more information about this project or want to get involved then check out our marine conservation webpage or email [email protected]. Previous Post My unforgettable time as a volunteer teacher in Nepal!